MARK Warburton’s side battled back to grab a point at Rugby Park after former Ranger Kris Boyd fired the visitors ahead in the first-half. A stunning James Tavernier free-kick was the leveller for the Gers just before the hour mark but despite trying in vain they couldn’t find a winner on the night. Killie dominated an opening period in which the Gers lost Joe Dodoo to injury; it was further damage to the manager’s match plans after Danny Wilson had limped out of the warm up. But Rangers came out for the second-half rejuvenated and attacked the home side, who were reduced to ten men after Greg Taylor lunged in on Joey Barton in horrendous fashion, just after Tavernier had drawn things level. Rangers sprang into action with three minutes played when Harry Forrester dinked a ball over the top and into the path of Kenny Miller. The striker took a touch to control before firing into the side netting. Adam Frizzell had a penalty cry turned away on eight minutes after Killie sent a dangerous free-kick into the ball and he picked up the loose ball to lash it goalwards. Kevin Clancy chose to wave away protests that Clint Hill had blocked with his arm. 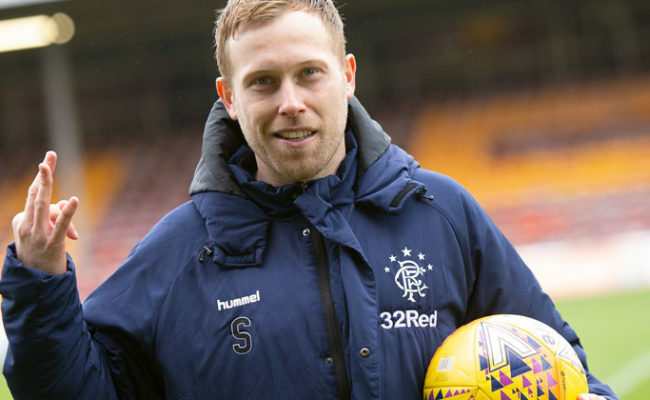 The Gers quickly countered and Miller tore up the Rugby Park surface to try and strike but he couldn’t find the support as the chance went begging. Lee Clark’s side looked lively and Gary Dicker sent a strike flashing past Wes Foderingham’s right hand post on 12 minutes. His driven shot was just inches wide as the Gers keeper scrambled to cover it. It was to be a premature end to Joe Dodoo’s game when he went down clutching his left thigh a minute later. 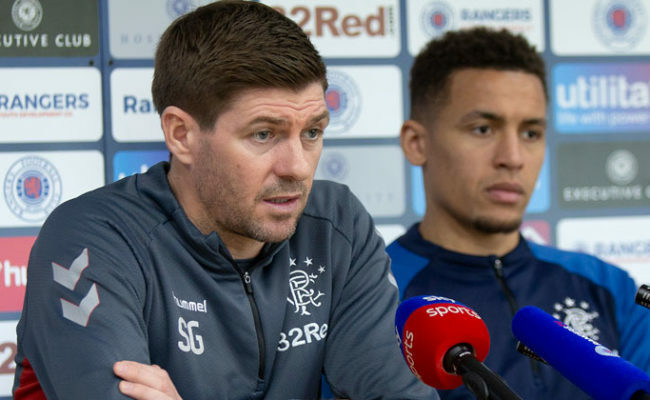 The summer signing left the pitch on a stretcher which meant Joe Garner would make his Gers debut earlier than anticipated. As Dodoo was still being applauded around the pitch by the 8500 travelling fans it was Rangers old boy Kris Boyd who was looking to do some damage. The striker sent a thunderous strike whizzing past the far post from a tricky angle. Killie kept piling on the pressure and the Gers defence had to be resolute to block two Luke Hendrie efforts from finding their way into the net after a corner. Garner is a poacher and he had his first chance to hit the target for his new club on 25 minutes. Harry Forrester whipped a corner into the near post area and the new signing scrambled to try and hook the ball into the net. Forrester followed that up with a low shot from distance which Jamie MacDonald collected with ease. As Rangers fans know all too well if you can count on anyone for a goal it is Kris Boyd and he punished his old club just before the half hour mark. The 33-year-old sprung the offside trap to be slipped in by Jonathan Burn on the left and side foot calmly past the beaten Foderingham. Tavernier was cursing himself on 37 minutes as he went one-on-one with MacDonald, with a chance to square things up, but fired over. Rob Kiernan had marauded forward to play a ball into the right-back who was thundering forward into the box. His usual deft touch let him down though as his strike rose high over the crossbar. There were worried faces in the Rangers technical area when another of their strikers took a hit just before the break. Garner collided heavily with Burn as the pair clashed heads and medical staff rushed on but thankfully for Mark Warburton his record purchase got up unscathed. The visitors were desperate for an equaliser before the break and Forrester powered a header past the post as 45 minutes ticked by. 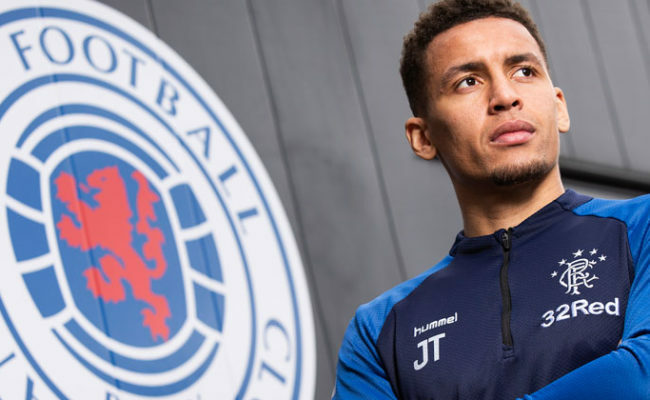 Tavernier had sent a dangerous looking set-piece into the area from the right and it fell to the 25-year-old on the edge of the area who elected to launch his head at it but his side went in at the break still behind. With the second-half just over five minutes old Miller was picking himself up in the box to scream for a spot-kick. He went to ground with William Boyle on the defence for Killie but once again Clancy chose to wave the claims away. Rangers needed an opening and Barrie McKay tried to provide it in the way he knows best – spectacular style. He skipped into the left channel on 54 minutes to curl a 30 yard strike just wide of the goal’s apex. Where McKay couldn’t deliver Tavernier could and in stunning fashion. When Dean Hawkshaw felled Rossiter just before the hour mark only one man was going to take the central free-kick. 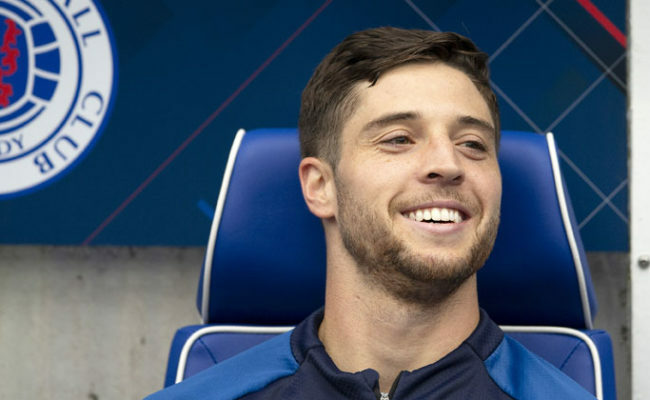 Last season’s set-piece king stepped up and curled a brilliant ball into the postage stamp corner of Killie’s goal to set the Gers game alight. Miller missed a chance when he shaped up one-on-one with the keeper moments after Rangers had drawn level. With Rangers’ goal the intensity of the already feisty affair stepped up a notch and it meant Killie found themselves down to ten men. Greg Taylor lunged in on Joey Barton in horrific fashion and the referee didn’t need any time to show the red card and send him walking. Barton limped off the challenge to continue. The chances kept coming and Forrester sent a low driven shot skimming the base of the right post a minute after Taylor had received his marching orders. Then Frizzell should have done better for the home side as he fired over with plenty of space to work with on the left of the box. With 20 minutes left to play Tavernier tried to tee up the Gers frontline as he sent a ball fizzing along the by-line. Forrester, Miller and Garner all lined up in the six-yard box but none could apply the finishing touches as their heads fell into their hands. Forrester added to his hatful of chances when Lee Wallace pulled the ball of the by-line to play him in on 75 minutes but again his shot went wide with time running out. Tavernier would have made it a double for the night if it hadn’t been for the palms of MacDonald. In a near identical position to his first set-piece the right-back swung the ball around the wall at a waist height. The keeper was forced to scramble to his right to apply strong hands and make a great save. With four minutes remaining of normal time Hendrie could have taken all three points for his side but fired wide with the goal gaping. Boyd made room for himself in the area to swivel and play in the frontman but he tapped his shot beyond the far post. Hendrie wasn’t the only one who could have grabbed the win as McKay drifted inside to force a save out of MacDonald on the tightest of angles. He fired his shot at the keeper who did well to tip it over the bar on 88 minutes. Seconds later MacDonald was saving from the winger again as he unleashed a snapshot in the six-yard box. The fourth official showed five minutes added on time but Rangers couldn’t make it count and had to settle for a point. 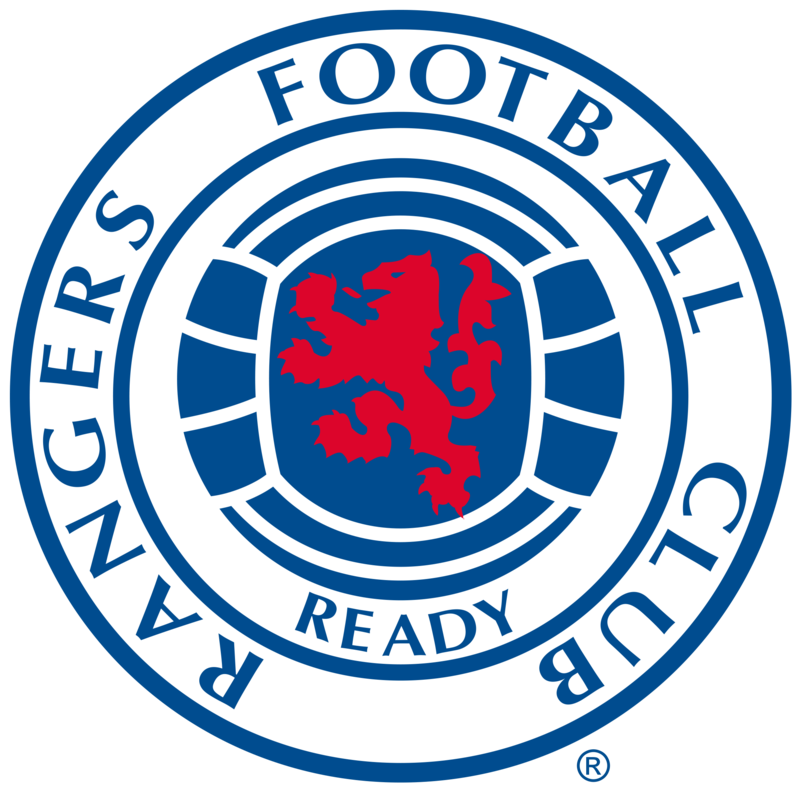 RANGERS: Foderingham, Tavernier, Hill, Kiernan, Wallace, Rossiter (Kranjcar 58’), Barton (Halliday 68’), Forrester, Dodoo (Garner 15’), Miller, McKay.